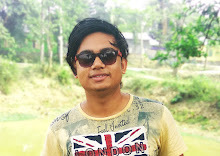 Hi, I Am Majibul Hussain And Today I will Teach You How To Install Custom Rom On Any Android Device.And Also I Will Share You A Video That Can Also Help You Better To Install Custom Ron On Your Device. And Also You Need To Install Custom Recovery Like- CWM, TWRP, Philips Recovery. And Once You Get All The Files To Install Custom ROM Than you Can Easily Flash It.And The Difficult Work Is That To Find The Custom ROM Because many People Don't Know How To Find The Correct Custom Rom For Their Phone. Many Causes You Didn't Get Your Phone Custom ROM. If Your Phone Is Not Popular Like Karbonn Or Other New Brands. If Your Phone is Popular Than You Definitely Get Your Custom Rom. Now Here Is Some Tips When You Install Custom ROM On your Android Device Or Tablet. Wen you Flashing Custom Room Don't Switch Off Your Phone, If You Turn Off By seeing Some Boot Text On Recovery Some Than Its Normal Don't Worry For That And Never Switch Off You Phone. Once You Completely Flash your Rom Than Make Sure Don't Remove Your Battery If You Remove Than Chances For Dead Or Brick Of Your Phone. Simply Reboot Your Android Phone.